Directions from West (I26) From I26 Exit 136 and turn left over Interstate. Travel 2.5 miles to US#176. Turn right and go 7 miles (cross over US#601 - then 2miles). Turn left onto Country Club Road. Directions from East (I26) From I26 Exit 145 and turn right off of ramp. Travel North towards St Matthews 6 miles to US#176. Turn right and go 2 miles Turn left onto Country Club Road. Facilities Golf shop and restaurant are located in the clubhouse. Practice The practice complex includes a putting green and a driving range. Comments Calhoun Hills golf Complex is an old course with mature long leaf pines, black oaks, Spanish moss and much charm. 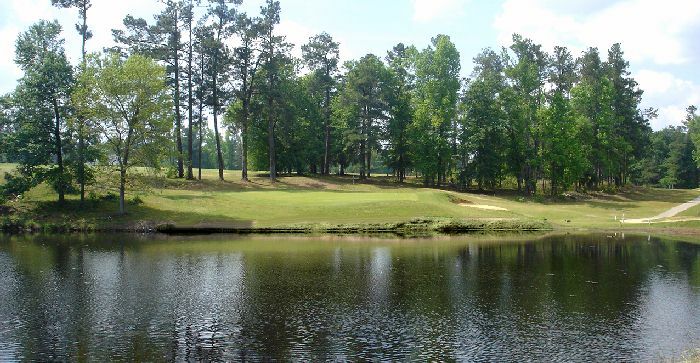 Dramatic changes of elevation make this course unique in the Columbia Golf Area. Only a half hour from Columbia, SC or Santee, this could be the best value in the entire South Carolina Midlands area!